Teletrans Chile was born in 2004. 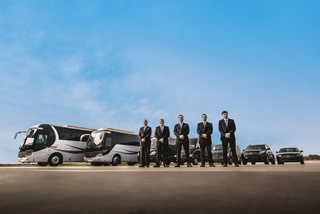 It offers high quality private ground transportation services for executives, with bilingual drivers and luxury vehicles in Santiago City, and also in different parts of Chile. It also offers private transportation for both foreign and national tourists, from and to airports covering the main cities and regions along the country. It offers its services to prestigious national and international companies, private and public institutions, including international entourage and government. Many travelers need transportation in Chile in order to arrive at their business and tourist destinations. You will probably land at the international airport located in Santiago, there are many popular destinations in Chile from Santiago airport to Valparaiso port. San Pedro de Atacama and Torres del Paine, among others. Teletrans identifies the need for travelers to get to multiple destinations on time and with maximum comfort during the journey. As travelers strive to visit more places in as little time as possible, they need an efficient transportation service that helps them coordinate their schedules. Teletrans combines high quality service with technology, efficiency, security and punctuality in order to make this happen. Travellers for both business and pleasure can be sure that Teletrans will not compromise on its commitment to quality. We offer professional and well-trained drivers, seat insurance for passengers, and convenient payment options. Teletrans services are available 24/7. It also means you can be confident we are available for you anytime you need us. Chile is emerging as the go-to destination for English-speaking travelers in South America. You can enjoy a journey from Santiago airport to Valparaiso but also cities as Torres del Paine and San Pedro de Atacama are particularly popular. Teletrans covers business and tourist destinations offering a 24/7 high quality private ground transportation in Chile.